The divorce of the world’s richest couple will leave Amazon founder and CEO Jeff Bezos with voting control of about 16 percent of the company’s stock, just as before, while MacKenzie Bezos will walk away owning shares worth some $35.7 billion, making her the world’s fourth-wealthiest woman. The couple filed a petition for a divorce on Thursday in Washington state, according to an Amazon securities filing and a company source, and expect a divorce decree to be issued in about three months. Amazon shareholders seemed unfazed by the news, which cleared up perhaps the largest unanswered question about the company in the aftermath of the couple’s January divorce announcement. Amazon shares were down a fraction of a percent Thursday to $1,818.86, giving the company a market value of $893.4 billion. 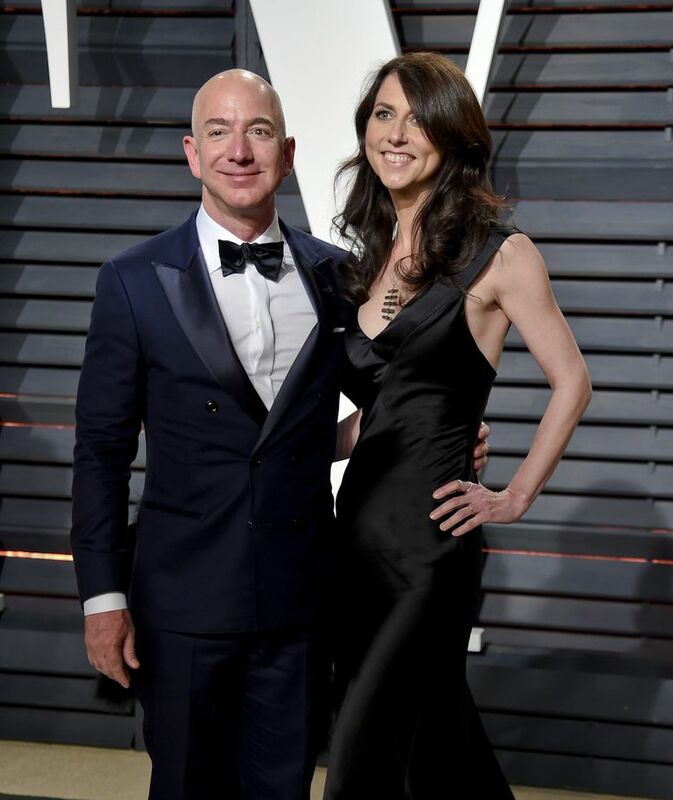 When the divorce is finalized, MacKenzie Bezos, 48, will own approximately 4 percent of Amazon, which appears to be much less than she might have been entitled to under Washington law, which presumes a “just and equitable division” of marital assets, usually a 50-50 split. An agreement between the Bezoses gives Jeff Bezos, 55, “sole voting authority” over MacKenzie Bezos’ shares, according to the Amazon filing. However, if MacKenzie Bezos sells her shares in the open market or donates them to a nonprofit organization that intends to sell the shares, voting rights would go to the buyer, the Amazon filing says. If MacKenzie Bezos sells or transfers shares in any other manner, the new owner is required to grant Jeff Bezos voting rights to the shares. The agreement leaves Bezos with voting control of about 16 percent of Amazon shares and ownership of stock worth about $108.1 billion, maintaining his position as the largest shareholder and the world’s wealthiest person – a distinction he has technically shared with MacKenzie Bezos, though reporting on global elites and corporate titans often ignores the joint ownership interests of spouses. Other major Amazon shareholders include mutual funds and private equity firms such as Vanguard Group, BlackRock, Fidelity and T. Rowe Price. The Bezoses did not disclose how they are dividing other assets, such as their real-estate portfolio. The Bezoses married shortly before Amazon was founded in a Bellevue home in 1994, and early accounts of the company note her hands-on role. If the Bezoses’ heretofore joint ownership of Amazon stock — a stake worth approximately $143.8 billion — were divided equally, MacKenzie Bezos would presumably have become the owner of Amazon shares worth $71.9 billion. That would have put her, as an individual, at No. 5 on the world’s wealthiest list, according to Bloomberg, ahead of Facebook founder Mark Zuckerberg, and made her the world’s richest woman. Jeff Bezos also tweeted Thursday, praising MacKenzie Bezos and thanking friends and family for support. Both Bezoses maintained in their public statements their anticipation of life as “co-parents and friends,” as MacKenzie Bezos put it. The couple have four children. Outwardly, the Bezoses’ divorce has been civil, in stark contrast to the tumultuous circumstances that appear to have driven the timing of their announcement, and that have emerged since. Hours after the Bezoses announced on Jan. 9 an apparently amicable end to their 25-year marriage, The National Enquirer revealed a affair between Jeff Bezos and Lauren Sanchez, a former television anchor and pilot. Then in February, Jeff Bezos accused the supermarket tabloid and its parent company, American Media Inc., of attempted blackmail after Bezos’ longtime security chief, Gavin de Becker, made statements in a Washington Post story suggesting the Enquirer’s expose was politically motivated. AMI Chief Executive David Pecker is an ally of President Donald Trump. MacKenzie Bezos, a novelist, also said Thursday she is excited about her own plans, which remain undisclosed. Her tweet describing the terms of the divorce was her first on the social-media platform, after apparently joining Twitter this month. She founded an anti-bullying organization in 2014. Last year, the Bezoses stepped up their philanthropy, pledging $2 billion toward education and homelessness. He will also go into that future with some $36 billion more than he might have, had she sought a down-the-middle split of their fortune.